Rescue workers have found the remains of the pilots of the Russian Emergency Ministry Il-76 aircraft that went missing on Friday morning in Russia's Irkutsk region as well as the black box of the aircraft, the rescue operation headquarters said Sunday. IRKUTSK (Sputnik) — On Friday, an Il-76 aircraft working in territories affected by forest fires in Russia's Irkutsk Region failed to report back to rescuers at the scheduled time. Debris from the aircraft was found earlier on Sunday. "During the search mission, body fragments and one of two black boxes have been found at the site of the Il-76 crash site in a remote area of the Irkutsk Region," the headquarters said. The bodies of three crew members have been found at crash site of the Russian Emergencies Ministry's Il-76 aircraft. "Rescuers have found the bodies of three airmen during search operations. The search operations are continuing," a headquarters representative told RIA Novosti. 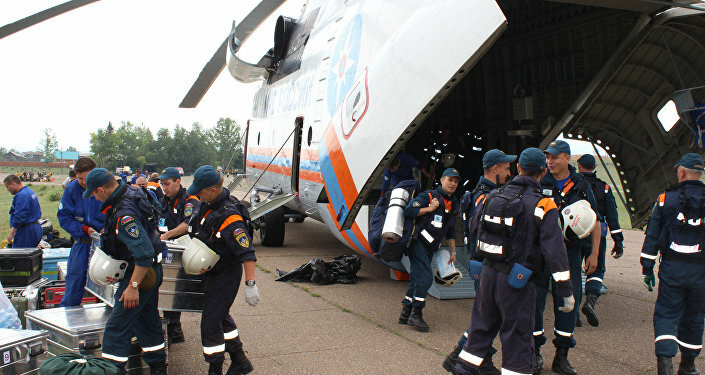 Given the condition of the aircraft fragments found previously, it was determined that the plane's crew of 10 people had all died in the accident, the headquarters added, noting that the search mission will continue. While initial reports on the numbers of the crew varied between nine and 11 people, the ministry later confirmed that there had been 10 people on board.